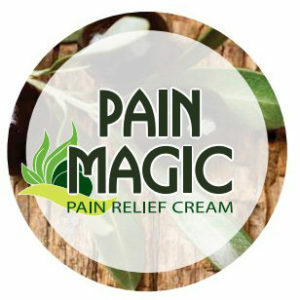 Pain Magic utilises the amazing powers of Comfrey, Hemp seed oil, Olive oil and Essential oils including”- Rosemary, Black pepper and Rose hip, Lemon, Arnica, Eucalyptus, Camphor, Celery seed, Turmeric, Ginger and Calendula. Directions for use: Always do a skin test to ensure you have no allergic reaction to any of the ingredients*. Once you have done this rub a small amount of Pain Magic in to affected area 3 to 5 times a day or as necessary. Pain Magic only needs a small amount as it goes a long way.